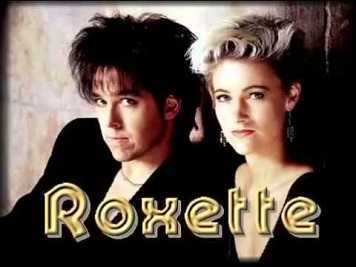 "It Must Have Been Love" is recorded and performed by a Swedish pop duo Roxette. This is a pop rock duo that comprises of Marie Fredriksson and Per Gessle. The duowas formed in 1986, and they became international in the late 1980s after releasing their break through album Look Sharp! They released another album Joyride in 1991, and it became as successful as Look Sharp!. Universal Music Publishing Group signed the band in a worldwide administration deal that lets them represent Per Gessle for the whole Roxette catalog. This was an agreement that seemed more like a coup for UMPG’s managing director who took over the control of the company in London 2016. The duo has sold more than 75 million records, and this makes them one of Sweden’s most successful bands. The song "It Must Have Been Love” was written as a ballad by Per Gessle. This was the group’s third number one single hit in the US and is also one of their best-selling releases to date. The song has been certified gold and platinum in a number of countries. There have been more than four different versions of the song released officially. The original track was released in 1987 followed by another slightly edited version of the same in 1990. The music video for the song which has more than 269 million views on YouTube was directed by Doug Freel and was recorded in a warehouse. The first music video for the song was a performance from a Swedish TV chart show. The current video shot in a warehouse features Fredriksson singing and playing the piano and Gessle playing his guitar. The shooting of this video was an experience to Fredriksson as he was supposed to lip-sync the song at double speed and he took his first lesson on how to sing like Mickey Mouse in an emotional ballad.